Ok I promise my next review won’t be of Benefit but I just had to share this. This product was actually brought out this year was was specifically designed to curl, lengthen and create beautiful lashes! The formula is different from its big sister ‘There Real’ mascara as its a much thinner liquid and takes a bit longer to build up the layers. 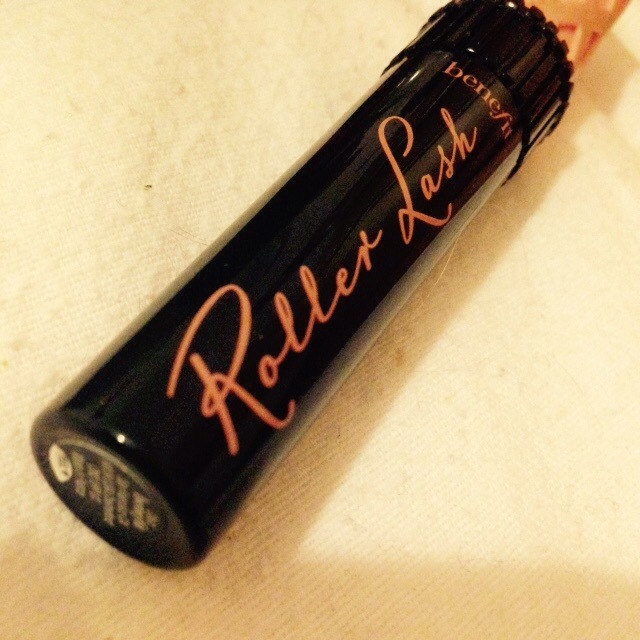 But u have to say, it does really curl and help lengthen you’re lashes! I usually use my trusty Dior plumping serum as a primer but as this review is purely for the Rollerlash, I skipped it. 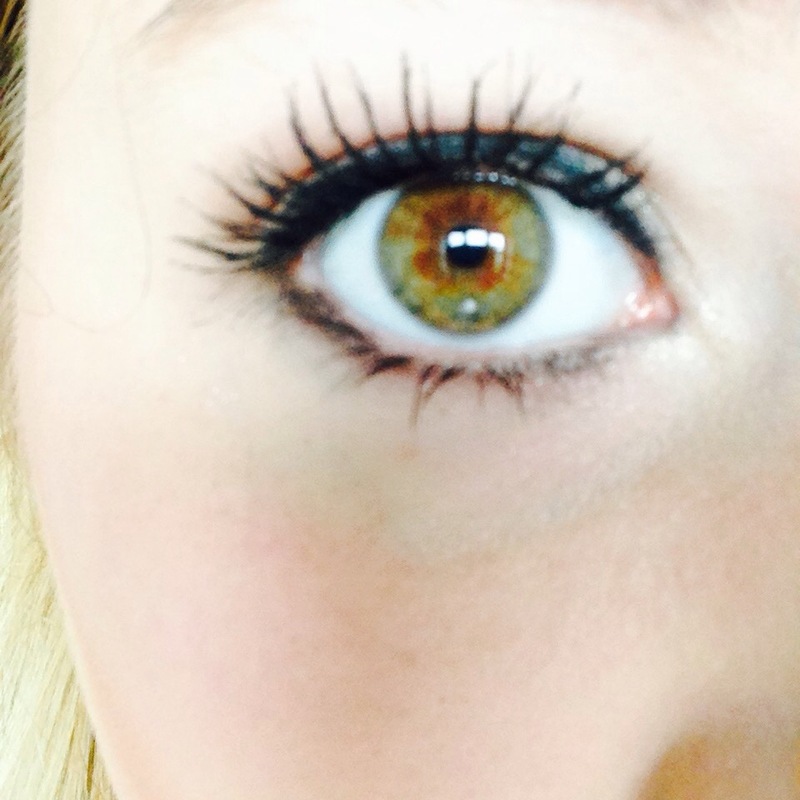 So these are my lashes after 1 coat of Rollerlash…. I’m pretty lucky to have long lashes anyway, but this really helped to fan them out! I also really like a the packaging for this mascara. It’s designed like a hair roller at the top and classic pink and black, with a hint of quirkiness! The brush is curved with longer bristles on the bend and shorter bristles inside the curve, just to help the curling motion. There is also no yucky excess left when you pull the applicator from the tube which is really nice! So no worries about clogging there. The only downside for me is that it takes a while to build up, I wouldn’t choose this for a night out look as it would literally take me for we to build up enough product on my landed to make them biiiiiig and bold, but for an everyday look this is pretty and flattering. Another thumbs up from me Benefit!